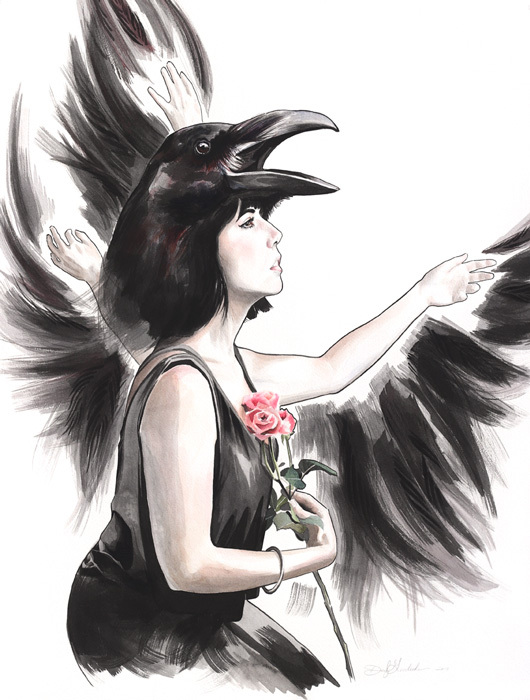 A raven woman takes flight in this ink and watercolor painting from Darcy’s series Spirit Animal. This painting depicts the crow and raven spirit animal. A strong woman’s heart beats her wings and lets out a deafening caw from within. Sign up for my newsletter to get a free guided meditation to help you find yours!